Prey 2 is being developed by Arkane Studios after all, despite flat-out insisting that it isn't happening. Prey 2 is a mess, and has been for some time - and not just as a game, although that's apparently the case, but also a PR mess. Reports of work stoppages due to contractual hassles led to a very vague statement about the game being "trapped in limbo" and then a specific statement about it being "not good enough" in the eyes of publisher Bethesda and rumors that developer Human Head had been taken off the job, possibly in favor of Dishonored studio Arkane. Bethesda was coy about the situation but insisted that Arkane was not involved, telling Rock, Paper, Shotgun in early August, "The Human Head Prey 2 thing is the Human Head Prey 2 thing. 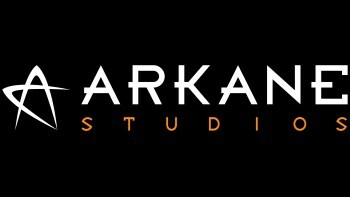 Arkane is over here, and they're doing their thing, and that's for them to work on." Arkane was even more adamant about it: Co-Creative Director Raphael Colantonio said flat-out "no" when asked by RPS whether it was involved in Prey 2, adding, "We've been looking at where that rumor came from, and I really don't know." A few days later, after Kotaku heard the rumor and asked Colantonio about it, he sent another email out to his staff, which also ended up in Kotaku's hands. "Now that the news is out, we'll be contacted left and right by press sneak fucks who will want to know more," he wrote on May 31. "Please don't answer to any of their requests." When contacted today about what is apparently a very clear confirmation that Prey 2 is now in Arkane's hands, Bethesda said simply, "We aren't talking about what Arkane is working on and we have no new information to share on Prey 2." There are obviously a few angles to this story. For one, we now "know" that Arkane is working on Prey 2, which is great news; the last time Arkane wanted to make a sequel to a great, neglected franchise - Ultima Underworld - but couldn't get the rights, it whipped up the marvelous Arx Fatalis instead. But it's disheartening to learn that Bethesda has been outright lying in response to press inquiries. It's one thing to issue a "no comment" - that's perfectly acceptable practice - but to be dishonest about it and say "no" when you know full well that the truth is "yes" is a different matter entirely. Colantonio's characterization of the press as "sneak fucks," while no doubt borne of frustration, isn't exactly endearing either. In any event, there you have it. Prey 2 is in the works at Arkane Austin, it's getting a System Shock twist and Bethesda and Arkane are mad. Two out of three ain't bad, but this still doesn't look good on either of them.